The Center for RNA Biology would like to congratulate the following students selected for this years fellowships: Blythe Moreland– Bundschuh Lab, Kiel Tietz– Amacher Lab, and Danny Dayeh– Nakanishi Lab. Thank you to all of our outstanding applicants for applying. We are looking forward to a productive year! 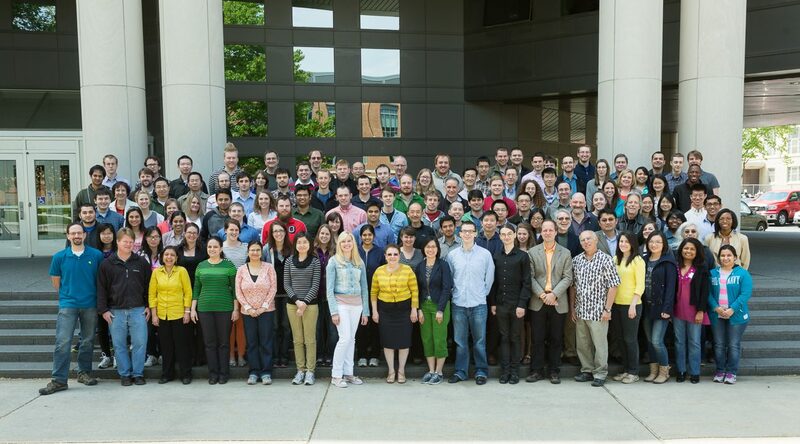 Scientists with expertise studying yeast, RNA, tRNA, and genomics gathered at the Ohio Union in June 2014 to take part in a special one-day symposium hosted by Ohio State’s Center for RNA Biology. The symposium, titled “AnitaFest”, was named in honor of Department of Molecular Genetics Professor Anita Hopper, PhD. The 2014 Fest attracted more than 65 out-of-state attendees, who were treated to a variety speakers over four sessions. The speakers included fellows from the National Academy of Sciences, the American Academy for the Advancement of Science, the American Academy of Arts and Sciences, and the American Academy for Microbiology, as well as four Howard Hughes Medical Institute Professors. 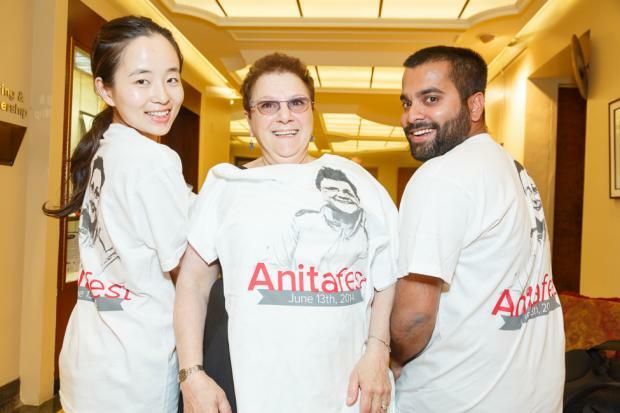 AnitaFest was organized by Eric Phizicky of the University of Rochester School of Medicine; Stan Fields of the University of Washington School of Medicine; and Dan Schoenberg from Ohio State University’s College of Medicine. Dr. Hopper has worked at Ohio State since 2006 and was a recipient of The Ohio State University’s Distinguished Scholar Award in 2012. 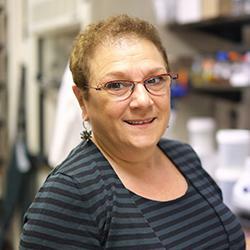 Her research focuses on the interaction of tRNA and proteins within cells. For additional pictures of the event, please visit http://rna.osu.edu/resources/pictures/. This entry was posted in News on October 9, 2014 by mikesell22. The Center for RNA Biology is please to announce the winners of the 2015 Fellowship Awards. This year’s applicant pool was very strong and we would like to thank all of those who applied. This years award recipients are: Kyle Mohler- Ibba Lab, Katie Anderson – Alfonzo Lab, and Bradley Howard from the Musier-Forsyth Lab. As always, we look forward to a year of exciting work. Congratulations to each of you! This entry was posted in News on September 17, 2014 by mikesell22. The Center for RNA Biology would like to congratulate the following students selected for this years fellowships: Anna Newman- Meier Lab, Alice Duchon- Musier-Forsyth Lab, and Mike Allen- Henkin Lab. Thank you to all of our outstanding applicants for applying. We are looking forward to a productive year! This entry was posted in News on July 24, 2013 by mikesell22. Guramrit Singh grew up in northern India in the state of Panjab – the land of five (panj) rivers (aab). His fascination with biology (microbes in particular) led him to pursue an undergraduate degree (B.Sc. Industrial Microbiology, 1998) at Guru Nanak Dev University, Amritsar. It was here that he first discovered the world of molecular and cellular biology, and developed a deep-rooted interest in this general subject area that has guided all subsequent pursuits in his education and research career. Guramrit got the first taste of molecular biology research while pursuing a Masters degree (M.Sc. Biotechnology, 2000) at Madurai Kamaraj University, Tamil Nadu, and then as a Junior Research Fellow at the Indian Institute of Science, Bangalore. In 2001, he shifted to the United States for his graduate studies at University of Colorado, Boulder. 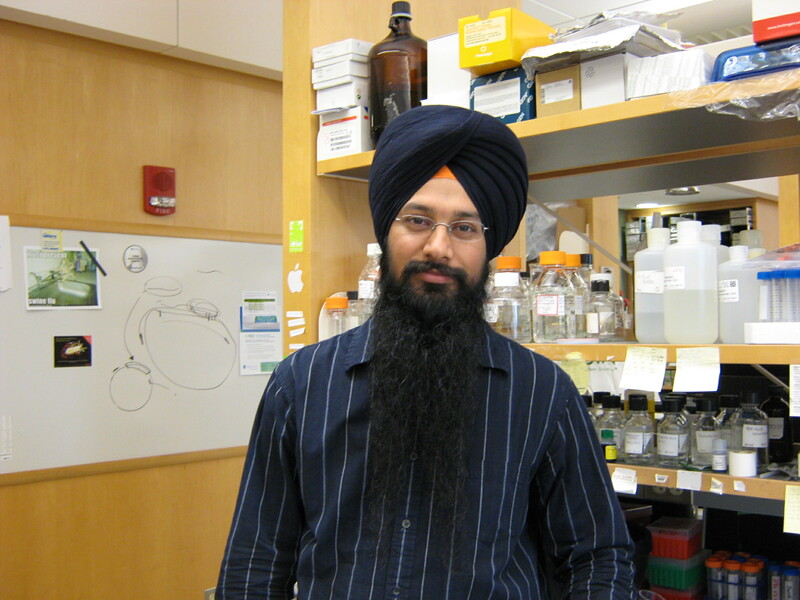 Guramrit’s doctoral thesis work in Dr. Jens Lykke-Andersen’s lab on nonsense-mediated mRNA degradation pathway in human cells (Ph.D., 2007) marked the beginning of his journey in the RNA field. “Ever since I been fortunate to continue research on human RNA biology, first as a post-doctoral fellow in Dr. Melissa Moore’s lab at University of Massachusetts Medical School, Worcester (2008-2013), and now as an Assistant Professor in Department of Molecular Genetics and as a member of the Center for RNA Biology at the Ohio State University” Guramrit Said. While transcriptional mechanisms control the time and amount of messenger RNA (mRNA) synthesized from a gene, post-transcriptional mechanisms dictate when and where in the cell each mRNA is translated into protein, and with what efficiency. Such post-transcriptional control of mRNA fate is largely executed by proteins that complex with RNA to form ribonucleoproteins (mRNPs). mRNP assembly begins as early as the precursor-to-mRNA (pre-mRNA) is transcribed and proceeds as pre-mRNA is sculpted into mRNA during several processing steps. mRNPs continue to evolve throughout their lifetime, shedding proteins and acquiring others as they move from one cellular compartment to another and/or as they are acted upon by numerous macromolecular machines (e.g. the nuclear pore, the translating ribosome). The work in our laboratory aims to understand the role of dynamic mRNP assemblies in the control of mammalian gene expression and cellular function by harnessing cutting-edge genomic technologies along with complementary biochemical and cell-based approaches. The first mRNP constituent of major interest in the lab is the exon junction complex (EJC), an extremely conserved multi-protein complex that impacts almost every aspect of post-transcriptional gene expression. Mutations in EJC protein-coding genes lead to several neurological and developmental disorders. Molecularly, the EJC is a proteinaceous mark deposited ~24 nucleotides upstream of most mRNA exon-exon junctions by the spliceosome during pre-mRNA splicing. The EJC is anchored on the RNA by the DEAD-box protein eIF4AIII, which along with its co-factors Y14 and Magoh forms the EJC core. This core provides a platform for assembly of other peripheral EJC proteins that participate in pre-mRNA splicing and mRNA export, localization, translation and degradation. Recently, we have uncovered the in vivo EJC interactome – its transcriptome-wide RNA binding sites and its proteome-wide interactions. We aim to continue to build on this work to further understand the multi-faceted roles of the EJC in control of mammalian gene expression. The second major interest of the lab is dynamic RNP complexes with compositional and mechanistic similarities to the EJC. These are exemplified by the translation initiation complexes consisting of two eIF4A proteins, eIF4AI and eIF4AII, which share a high degree of sequence similarity to the EJC protein eIF4AIII. Like eIF4AIII, these proteins nucleate the formation of dynamic RNA:protein complexes that dictate early steps during translation initiation. eIF4AI protein is essential for cell survival whereas the role of eIF4AII protein remains largely unknown. Strikingly, eIF4AI and eIF4AII exhibit distinct expression patterns during mammalian development and during cellular response to internal or external stimuli. Our objective is to reveal in vivo RNA binding sites and mRNA targets of eIF4AI and II during translation initiation and to also reveal the underlying mechanisms that regulate differential eIF4A protein expression. Such studies will deepen our knowledge of translation initiation mechanisms during cellular proliferation and transformation. To delineate how the EJC and eIF4A proteins control post-transcriptional outcomes during gene expression, we investigate these processes in the context of cultured human cell lines. Over a longer-term, we intend to extend our studies to primary animal cells and/or models of development. As tools, we utilize a collection of high-throughput strategies to capture transcriptome snap-shots (RNA-Seq), to reveal in vivo RNA:protein interactions (RIPiT, CLIP), and to study the cellular translation landscape (ribosome profiling). In addition, traditional yet ever-powerful biochemical and molecular approaches remain an important part of our toolkit. This entry was posted in News on July 12, 2013 by mikesell22. Kotaro Nakanishi received his B.S. degree from Tokyo University of Science in 2000 and his M.S. degree from the University of Tokyo in 2003. Kotaro obtained his D.Sc. in 2007 from Tokyo Institute of Technology where he studied aminoacyl-tRNA synthetase and tRNA modification enzyme using X-ray crystallography with Osamu Nureki. Then he joined the laboratory of Dinshaw Patel in the Memorial Sloan-Kettering Cancer Center, and determined the crystal structures of Argonaute and Dicer. He was awarded Japan Society for the Promotion of Science (JSPS) for Young Scientist, JSPS for Research Abroad, and Human Frontier Science Program for Long-term Fellow. 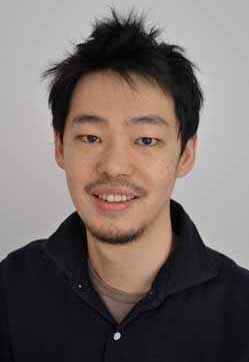 In recognition of his works, Kotaro received RNA Society/Scaringe Award in 2012. He will join the Ohio State University in August of 2013. Our research interest focuses on elucidating the mechanism of microRNA-mediated gene regulations underlying cell type determination. After processed by microprocessor and Dicer, microRNA duplexes are loaded into another key player, Argonaute protein. Then one of the strands serves as a guide to recruit the RNA-induced silencing complex, RISC, to the target mRNAs, thereby triggering target cleavage, translational repression or mRNA decay. Our long-term goal is to take crystallographic snapshots of each step such that we understand the molecular basis at the atomic resolution. Another interest is a completely different subject but still relevant to our research: developing a new tag capable of increasing the solubility of the interested proteins and of facilitating crystal packing. * These authors contributed equally to the works. Nakanishi, K.*, Weinberg, D.E. *, Bartel, D.P., & Patel, D.J. (2012) Structure of yeast Argonaute with guide RNA. Nature 486, 368-374. Weinberg, D.E. *, Nakanishi, K.*, Patel, D.J., & Bartel, D.P. (2011) The inside-out mechanism of Dicers from budding yeasts. Cell 146, 262-276. Nakanishi, K., Bonnefond, L., Kimura, S., Suzuki, T., Ishitani, R., & Nureki, O. (2009) Structural basis for translational fidelity ensured by transfer RNA lysidine synthetase. Nature 461, 1144-1148. Nakanishi, K., Ogiso, Y., Nakama, T., Fukai, S., & Nureki, O. (2005) Structural basis for anticodon recognition by methionyl-tRNA synthetase. Nat. Struct. Mol. Biol. 12, 931-932. Nakanishi, K., Fukai, S., Ikeuchi, Y., Soma, A., Sekine, Y., Suzuki, T., & Nureki, O. (2005) Structural basis for lysidine formation by ATP pyrophosphatase accompanied by a lysine specific loop and a tRNA-recognition domain. Proc. Natl. Acad. Sci. U. S. A. 24, 7487-7492. This entry was posted in News on April 23, 2013 by mikesell22.